CEDAR CITY — This Christmas you can give the gift of travel with Southern Utah University’s community travel program. SUU Community on the Go trips are designed for those who love to learn, experience world cuisine and visit historic museums, theaters and art galleries around the world. Community on the Go will be taking art and theater lovers on an unforgettable holiday trip in December. Experience the magic of the holiday season like never before with “Christmas in London.” This community trip is led by SUU faculty experts who have traveled to London with student study abroad groups and know all the historic landmarks, museums, galleries, theaters and hidden treasures. Travelers are sure to find the holiday spirit while attending an organ recital at St. Paul’s Cathedral, a Christmas sing-along at Royal Albert Hall, visiting Winter Wonderland at Hyde Park or shopping in the holiday markets outside the ancient city of Oxford. 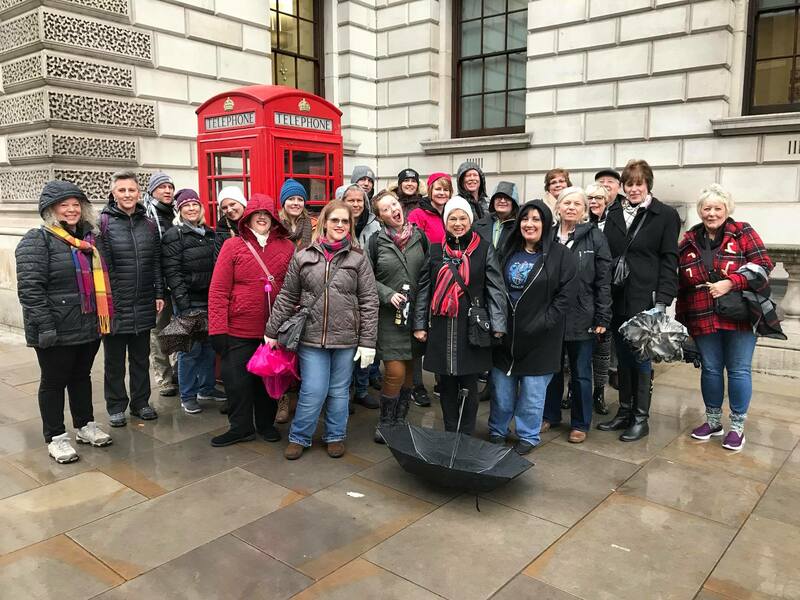 Other guided tours include Buckingham Palace, Big Ben, the Houses of Parliament and Trafalgar Square, along with taking in a West End theatre production and visiting the Warner Bros. Studio Tour London – The Making of Harry Potter. Travelers will also learn from SUU experts while roaming several museums and art galleries, including The British Museum, the Victoria and Albert Museum, the Natural History and Science Museums, as well as a bus tour to Stonehenge. SUU Community on the Go has more trips scheduled for 2020, including a trip to Italy in partnership with the Cedar City Chamber of Commerce and a domestic trip to New England led by SUU President Scott Wyatt titled “Freedom Trail.” In Italy, participants will be leaving in March 2020 for eight days of luxury, history, art and food along western Italy coast in Naples, Sorrento, Capri, Pompeii and Amalfi, among others. Travelers will also enjoy many artisan shops selling local wares, museums and art galleries, visiting the Gardens of Augustus, learning the art of pasta making from a master pastaio, or a pasta maker, and an optional limoncello making session. “Freedom Trail” travelers will be heading to Boston in the fall of 2020 to explore the exciting history of some of the events leading to the founding of the United States of America. From the site of the Boston Tea Party to the home of Paul Revere, and the USS Constitution, participants in this historic trip will be taken back in time through artifacts, art, museums and dining from some of Boston’s finest restaurants. “Christmas in London” takes place Dec. 8-14. Reserve your spot today by clicking here or calling 435-586-7808 for more information. To be placed on a waiting list for more information about the upcoming Italy and “Freedom Trail” excursions in 2020, email onthego@suu.edu.